Whiskey Stones | Whiskey on the rocks, literally. Whiskey on the rocks, literally. 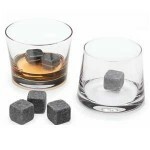 Whiskey Stones (technically, Whisky Stones) are ice cube substitutes, designed by Teroforma co-founder Andrew Hellman. 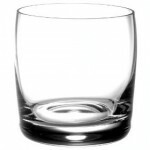 The whiskey drinker’s dilemma is this: sipping a chilled whiskey is incredibly enjoyable, but ice isn’t a great solution. It melts. Enter whiskey stones and the promise of a cool drink that doesn’t get watered down even when you’re enjoying it at a slow pace. 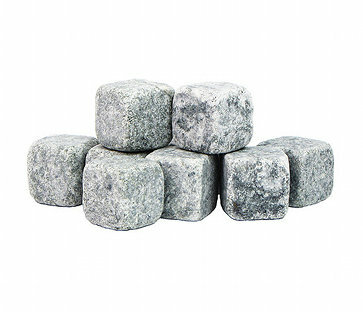 The idea being that you freeze the natural soapstone cubes and use them in lieu of ice. Simple. For Holiday 2009, these things have taken off as incredible gifts. As such, most shoes are completely sold out with new stock coming mid-January. Often times when they are in stock, they are part of a price-gouged gift set. Ouch. 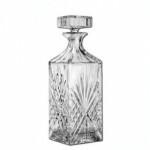 So – where can you find whiskey stones in stock? If you’re considering these, I’d say go for it. (Note: I just think these things are cool, I’m not being paid to write any of this.) I say this because, while the reviews of these in action are relatively mixed, I can’t imagine someone not thinking they are a cool and thoughtful gift. Unless they are going to someone who maybe is trying to kick a habit… but that’s just common sense. Bring a mellow chill to the drink. The stone is soft and the edges are rounded, preventing scratching. Don’t do much to actually chill the drink. Drinkers were afraid of chipping teeth. 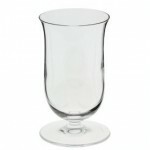 A chilled glass is just as effective. Questions were raised about the cleanliness. To the last one. Come on, don’t be a wuss about this. They are being soaked in whiskey! Granite Ice – Whisky Stone Alternative?